April 11th in Viral, Wordpress Plugins by Wordpress Jedi . WooCommerce makes it easy to bring your own store online. If you have a lot of interesting products for your customers to check out, you should invest in an advanced search script to help your visitors find what they need faster. Advanced Woo Search for WordPress can help. 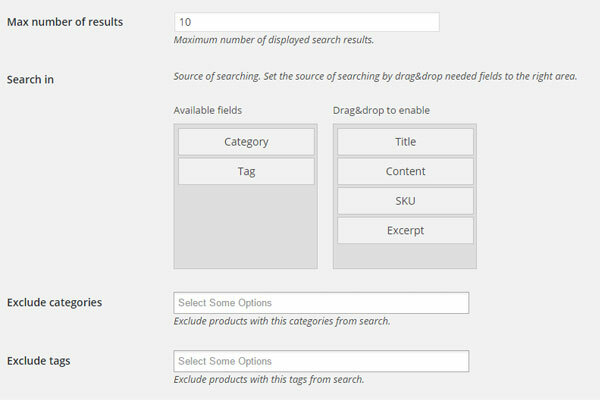 It is a free live search plugin that searches product title, content, tags, SKU, and categories. As your visitors search products, they will see images, description, price, and other information. The premium version supports unlimited instances, filters, and customizable search layouts. It also lets you display categories and variations or exclude certain products. It supports shortcodes and widgets. You can try this plugin for free. The pro version is available for $29 at this time.